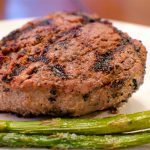 The perfectly seasoned and grilled filet mignon doesn’t take more than a couple of spices and a few quick tricks to get it right with almost any cut of beef. The key is to enhance the flavor of the meat: not mask it, along with searing the outside and carefully heating the middle. If my house was a restaurant, Let’s just call it “Mad House Pub and Eatery”, the “house seasoning” would be a salt, garlic powder, onion powder, black pepper mixture in a ratio of 2:2:2:1, respectively. We use that as a base seasoning for nearly everything. That’s the case with our beef too, and this madhouse (along with the entire line of McCarthys) knows their red meat. The main thing is to bring your steak to room temperature, season it and rub it with olive oil, sear the outside at a high temp on the grill, and move it to indirect heat to finish up the middle. We tend to prefer our steaks medium rare and take them off the grill once they reach the same tenderness as that spot on the palm of your hand just below your thumb. Go ahead, poke it, I’ll wait. Be sure to let the steak rest a few minutes before diving in, you’ll give the juices time to redistribute instead of just flowing onto your plate. Although, if you have one of the cheddar sage biscuits handy, you can just sop that right up. The perfectly seasoned and grilled steak doesn’t take more than a couple of spices and a few quick tricks to get it right. 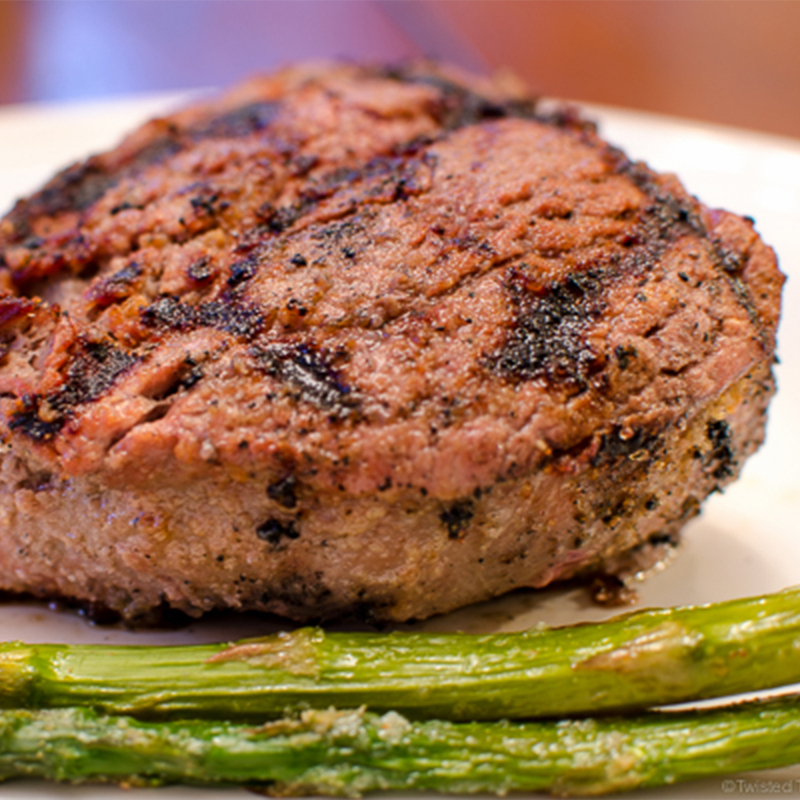 About an hour before serving time, remove the steaks from the refrigerator and allow to come to room temperature. Once at room temperature, bring the grill to a high temperature. (We use a gas grill, and I turn it on to the highest setting). Allow the grill to reach at least 500 degrees. While the grill is preheating combine the salt, garlic powder, onion powder, and black pepper in a small bowl. Slather the steaks with olive oil and rub the spice mixture over the steaks. If using a gas grill, turn off the middle burner. Put the steaks on the hottest part of the grill to sear. Sear both sides of the steak for 1 minute each. After searing, move the steaks to the middle of the gas grill (over the burner which is turned off) or of with indirect heat. Cook each side for 3 minutes or until it reaches an internal temperature of 145 degrees. The steak will be about as tender as the section of the palm of your hand directly below your thumb. Remove the steak from the grill and allow to rest for 5-10 minutes.